We only provide you with what we grow. No air miles = low carbon footprint. Subscribe now for your fresh 'better than organic' weekly veg box. absolutely no sprays, no animal poo or other animal inputs used. 40 x more nutrient dense than sprouts & the mature plants. Here you will be able to embark on a new way of eating, yep that’s right getting more veggies in and not any kind of veg but VEGANIC veg. We are excited to share our produce with you and love to know that the community around us are enjoying the food that we grow. It truly is a family affair, we Robert and Michelle are often joined by our children in the field, we can’t keep them out its their best place to spend their summers. We believe in good old fashioned customer service too, where the customer is always right. It is important to us that we offer a friendly, personal but professional service. So from all of us at the artisan grower. Veganic is the practice that we have chosen to bring the best tasting veg to you. We do not use any kind of animal input such as manures, blood or bone meal or anything that comes from an animal. We also do our best to sow organic seed (where available). We do not use any sprays in our field either. Many organic regulatory bodies allow a certain amount and kind of spray, we choose not to use any, so we like to say that we are “better than organic”. Our own family eats from our fields too and we don’t want any toxic substances finding its way into our food. We choose to use green manures in the field such as certain cover crops and we till them in to maintain fertility of the soil. Here in the heart of rural Aberdeenshire Scotland, the artisan grower produces speciality produce known as microgreens. These are tiny power-packed vegetables and herbs that are harvested at the cotyledon stage of growth and sometimes with the first true leaves. Microgreens offer 40 x more nutrients than the mature plant and therefore very little is needed to deliver a super nutritious addition to your meal or smoothie. 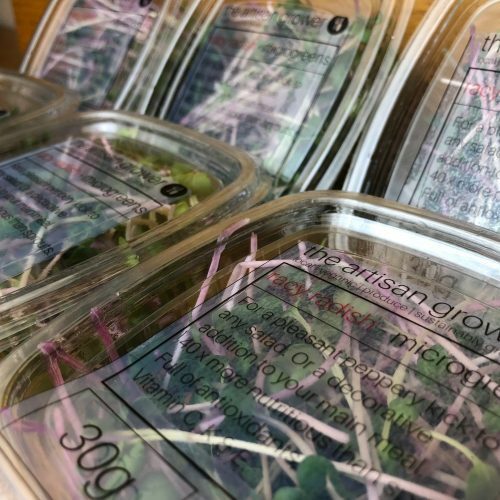 Microgreens are often used by Michelin-starred chefs to garnish a dish in a distinguished way. 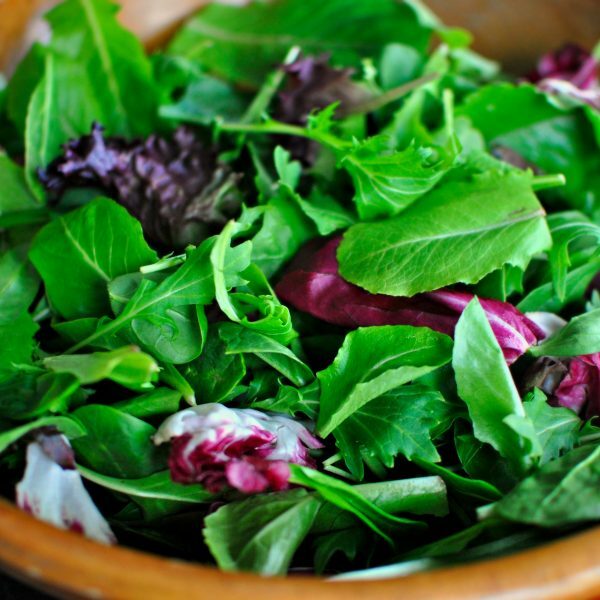 We offer microgreens all-year round and currently supply retail, chefs and wholesale. 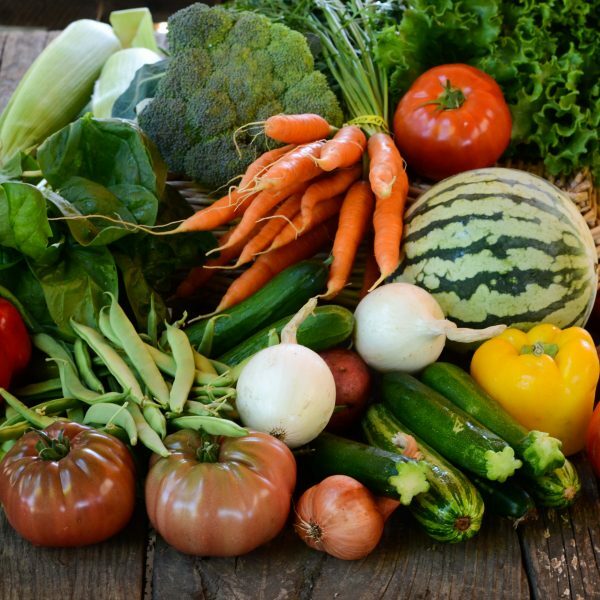 SEASONAL VEG BOX FROM MAY TO OCTOBER – REGISTER NOW! Subscribe to our Local Seasonal Vegetable Box Scheme, where we box up our fantastic tasting fresh vegetables and soft fruits and deliver them either direct to your door or you can opt to collect your box from one of our “pick-up-points”. You can opt to have your box delivered on a weekly, fortnightly or monthly basis. Once you have chosen your delivery option you can then leave everything to us. See below for a list of what we will be growing this year and when. You will receive a variety of these products when they come in season. WHEN WILL MY VEG BOX BE DELIVERED? Veg box deliveries take place every Tuesday and Thursday. You do not have to be in to receive your box, as you can supply us with ‘safe place’ information when you complete your purchase. WHAT WILL BE IN MY VEG BOX? You will only find tasty, fresh, “better than organic” veg that we grow locally here in Aberdeenshire in your box. Our season begins in May and ends in October. During this season we look to grow a vast array of produce of which you may receive in your box as they come into season. We always hope to have salad items available throughout the season. But here is a list of items that you may receive in your veg box at some point. Rocket, Rainbow Chard, Spinach, Beetroot, Rainbow Beets, Carrots, Rainbow Carrots, Lettuce (Iceberg, Romaine & Butterhead), French Breakfast Radish, Easter Egg Radish, Salad Turnips, Mesclun Mix, Black Kale, Green Kale, Collard Greens, Cabbage Cauliflower, Calabrese, Sprouting Brocolli, Pak Choi, Cherry Tomatoes, Beef Tomatoes, San Mazarno Tomtoes, Aubergine, Peppers (Red, Green & Yellow), Green & Yellow Courgettes, Butternut Squash, Cucumbers, Potatoes, Leeks, Onion (Brown & Red), Garlic & Spring Onions. Herbs – Basil, Coriander, Flat Parsley, Mint, Rosemary, Thyme, Tarragon & Savory. Fruit – Strawberries & Melons. If there is something that you really do not like please let us know. Likewise if there is something you love we will do our best to give you more of those items. When you subscribe for the Veg Box Scheme you will receive your box on the following weeks delivery*. We will send you an invoice once delivery has been made. We have limited spaces on the Veg Box Scheme so HURRY! *We do not deliver during the months of October through to April. HOW CAN I CANCEL MY VEG BOX SUBSCRIPTION? Good news, you can cancel your Veg Box Subscription at anytime. You can let the delivery driver know, text us, or email to let us know. You will then no longer continue to receive your Veg Box. Please note you will need to give us 1 weeks notice before your next box delivery. Thank you. Aberdeen City (Pick-Up-Points), AB32, AB33, AB41, AB51, AB52 & AB54. Delivery is absolutely FREE. However, we would like to encourage our customers to take advantage of the centrally located pick-up points. Using these pick-up points will attract a 10% discount on the overall cost of your veg box, and lower the carbon footprint. Please use the relevant discount code when checking out. There are many factors that can effect the growing of produce, there may be circumstances outside of our control (weather, germination etc) that could cause crop failure. We at the artisan grower do not put all of our eggs in one basket, so there should always be a good variety of produce available for you.